Make the Pilgrimage Back to Franklin! Music-lovers of all kinds will be making the “pilgrimage” back to Franklin next month for the 2016 Pilgrimage Music and Cultural Festival, and we can hardly wait! Featuring diverse musical talent, delicious food and family-friendly fun, Pilgrimage will be held just outside of Historic Downtown Franklin at the Park at Harlinsdale on Saturday, September 24th and Sunday, September 25th. The century-old horse farm provides a rustic, picturesque setting of rolling hills and natural amphitheaters for the event. The festival is entering its sophomore year, jam-packed with many exciting and well-known acts. Headliners like Beck, Jason Isbell, Kacey Musgraves and Violent Femmes, ensure a wide variety for all. You don’t want to miss the “Pilgri-mashups,” where artists team up for unique, one-time collaborations on stage. Festival-goers young and old alike are sure to be entertained and inspired. There is even a Children’s Stage that will showcase young, up-and-coming talent, while providing the little ones a perfect place to play. A complete list of the 2016 lineup of rock and roll, alt-country, bluegrass, jazz, indie, gospel and more can be found here. In addition to music, Pilgrimage highlights the art and culture of Franklin and Williamson County. Local restaurants, antique dealers and artisans will be housed in the Bazaar, providing guests from near and far an opportunity to discover what our town is all about. Located in the midway as well, Kitch-N-Tell demonstrations will feature chefs and beverage makers giving a behind the scenes look at their craft. Resident historians will also be on hand to provide entertaining tales of Williamson County’s fascinating past. With the performances ending around 8 both nights, guests will still have plenty of time to head downtown and continue experiencing all that Franklin has to offer at Pilgrimage After-Dark. Within walking distance of the Park and Harlinsdale, our beloved downtown area is home to some of Middle Tennessee’s best restaurants and shops. Pilgrimage After-Dark will feature even more night-time shows in downtown Franklin’s most legendary venues! Considering two-day passes are already sold out, hurry and get your tickets while you still can! Tw0-day VIP passes and single-day passes are still available online here. This is sure to be one big, exciting weekend in our town- don’t miss out! 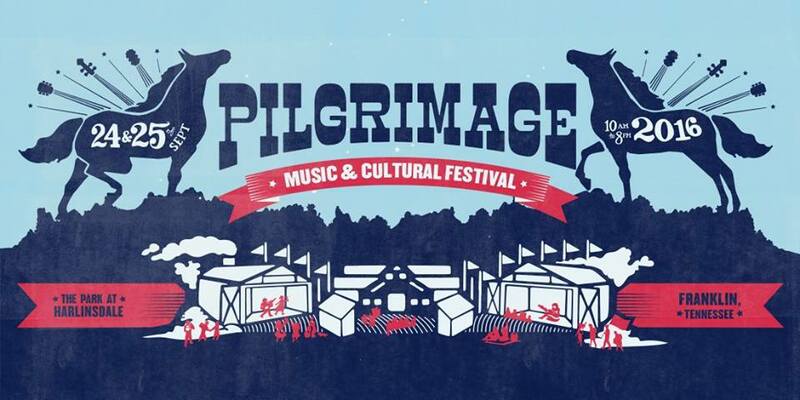 Check out the Pilgrimage Festival website for more information.